In many medical schools students are exposed solely to classroom-based didactics during the duration of their basic science coursework. After approximately two years, they are then required to apply their knowledge to actual cases. At International American University College of Medicine, similar to many of the best medical schools in the United States, we take a more progressive approach to medical education in that our students are immediately exposed to a case-based, problem-oriented curriculum (“problem based learning”, or PBL), which places far more emphasis on learning that is active (researching, discussing) rather than passive (sitting, memorizing). Our curriculum helps build students’ confidence in their own presentation skills which must be honed by the time they are presenting their cases to a room full of medical doctors. 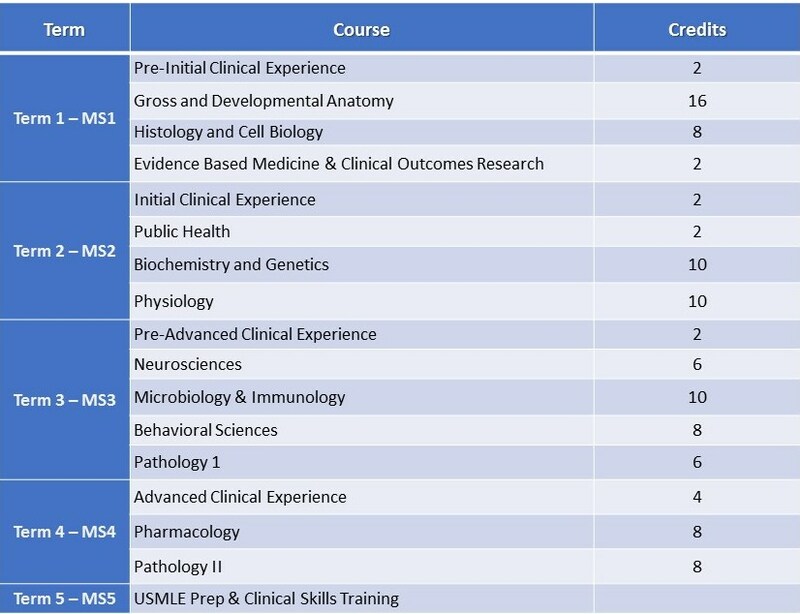 IAU has a four-term curriculum. The first 4 terms are completed in St. Lucia. The Bridge term is completed in the United States.